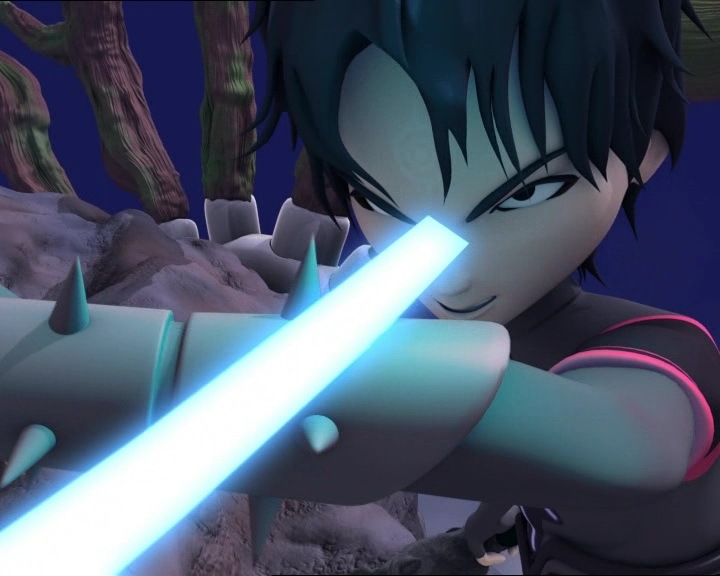 The Lyoko Warriors return to Siberia in an attempt to finally free William from Xana’s clutches. Using data culled by Aelita from the last teleportation of the youth Jeremy is able to create a program to find their imprisoned friend. But in order to bring him home, our heroes will have to accomplish a multitude of tasks in synchronization—no small feat when also faced with the Kolossus… and an entire army of robots! A number of allusions in this episode are linked to episode 92 “Cold Sweat”… For a better understanding, it’s preferable to have seen or read about this episode. The solution? A multi-agent system. His friends are sceptical, Aelita reminds him that XANA itself is a multi-agent system and that the last time he tried such a program, the Marabounta, it didn’t go too well. Jeremy reassures them by explaining them that he’s only going to test it when he’s perfectly sure that it’ll work, also, the program isn’t ready yet. On the other hand, he discovered a flaw in XANA’s plan: it committed an error by Teleporting William during their last mission, and now thanks to the data Aelita got in the tower, Jeremy was able to concoct a program that will allow them to free William. 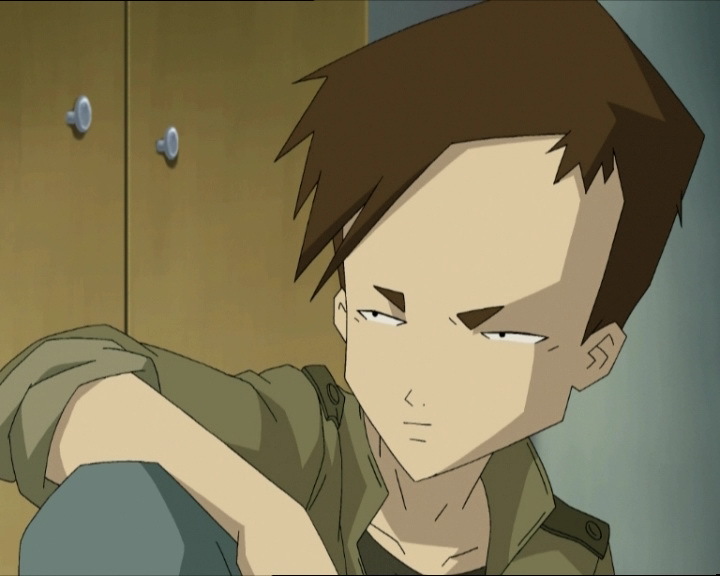 According to Jeremy, Aelita just has to launch the program from the Supercomputer maintaining the Ice Sector Replika at the moment when the others devirtualise William. 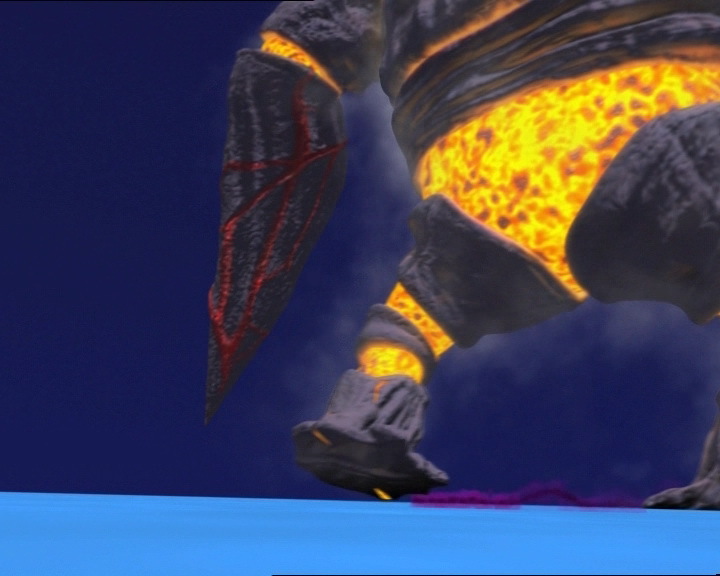 The only hiccup: XANA is going to do everything it can to stop them, including send a monster like it did last time, the Kolossus. Jeremy doesn’t seem to realise that this monster is far more dangerous than the others. 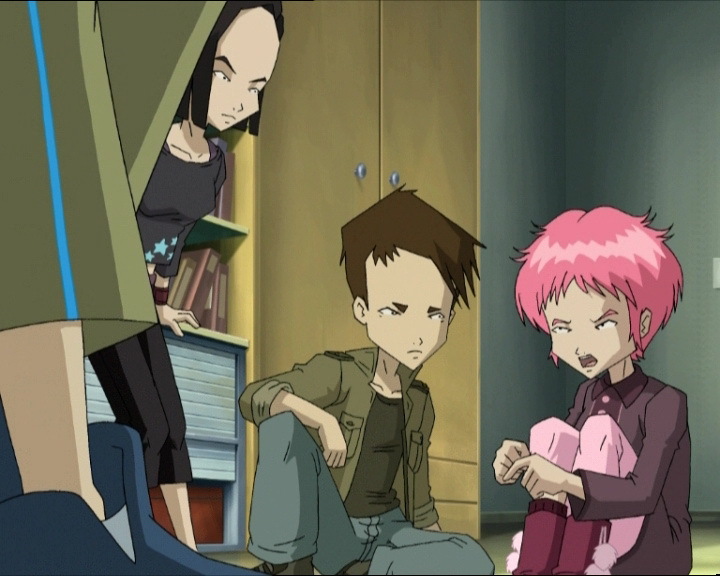 Aelita, enthusiastic about the idea of saving William, proposes they test the program immediately. The five friends then go to the factory. In the cafeteria, our lovely Rosa is doing her best to give the students and the parents what they want (while the latter are more difficult to cater for than the former). William, still dazed, begins to seriously worry his parents. Jim then comes to speak to them as they’re about to start eating and calls William “quite a piece of work,” to which the clone replies that it’s “not just any piece of work. To be specific, I’m a digitally-generated random polymorphic energy field controlled by a basic, non-evolving behavioural program” …which panics Mr and Mrs Dunbar. 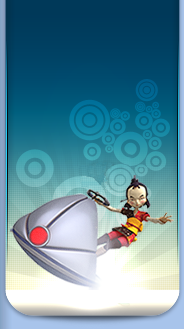 Returning to Lyoko, our heroes anchor the Skid on the Replika. Jeremy Teleports Odd and Aelita, and they land at the same base as the one before and have no trouble getting inside. In Mr Delmas’ office, Mr Dunbar rages at the poor principal that the boy they were with is not their son. He says the “real William” is a “dynamic and rebellious youngster, who was expelled from the last school he attended for gluing stickers all over the school, including on the principal’s windshield.” This clone, who adds to the conversation with a foolish smile, doesn’t match their description. Delmas admits that William has been behaving strangely for weeks. Mr Dunbar brings up the mysterious trip the principal mentioned earlier, which suns him because he thought William had gone on this trip with his family, and it was now being disputed by his parents. The trip he had made just before catching a nasty flu. Speak of the devil, William arrives on the back of his Manta. Yumi and Ulrich’s orders are to slow him down. At the factory, Jeremy finds that XANA has mobilised the energy of all its Replikas again. On the Replika, the combat begins, Ulrich manages to knock William from his Manta. On Earth, the two Teleported friends aren’t coping well against the robot army firing at them, as soon as they destroy one another takes its place. An infinite army. In Siberia, Odd and Aelita just outside the door to the Supercomputer, the army of robots still on their heels. In the Ice, Ulrich, thanks to his Supersprint, manages to jump onto the Kolossus. Clinging onto it, he remarks that the new monster has two eyes of XANA to hit: one right in the middle of its face, the other on its left arm. Yumi throws her fan into the first target, without any effect. Jeremy gets in on the action, using his multi-agent program to immobilise the Kolossus by creating a layer of ice around it. The strategy works, to William’s annoyance. 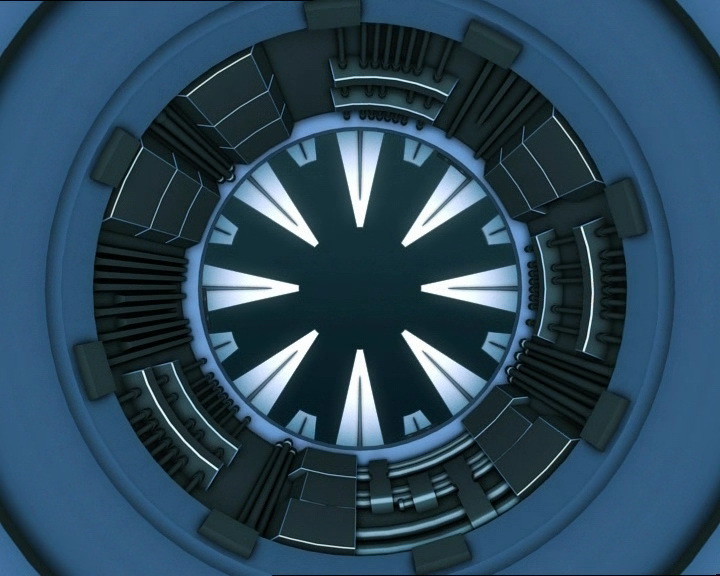 At the base in Siberia, Aelita accesses the terminal near the Supercomputer and starts the program to bring William back. 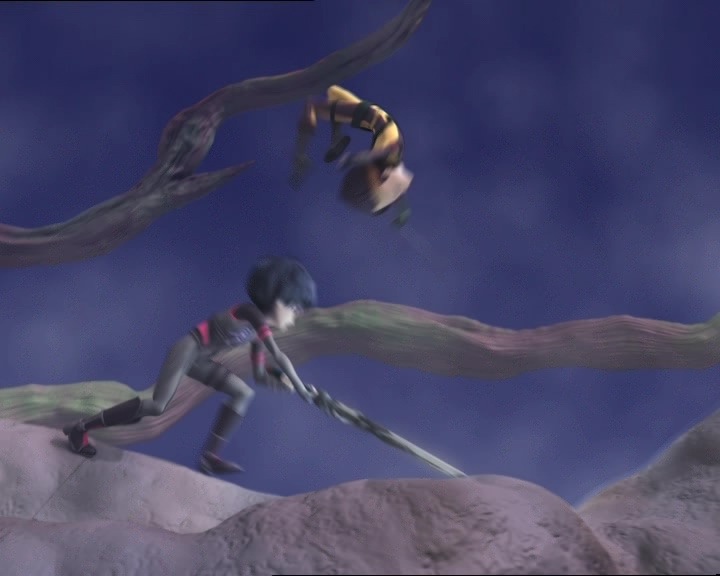 On the Kolossus, William and Ulrich re-engage in their fight, though high in energy, Ulrich tries to stay virtualised until Aelita finishes her program. 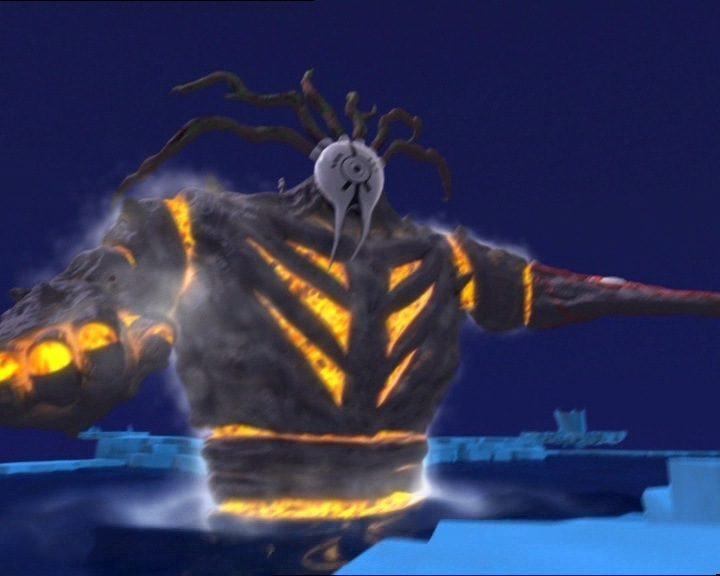 During this time, Odd is deteleported and comes back to the Replika while the Kolossus frees itself from the multi-agent system’s grip, catching Yumi by surprise and devirtualising her. Aelita isn’t in a good position, as the robots have entered the terminal room, luckily she’d finished the program but Ulrich, ready to devirtualise William, is devirtualised by the Kolossus…and Aelita is deteleported. One of Odd’s arrows to the back, complements of the chef! …revealing William, winded but alive…and free! Still in the scanner room, Aelita reappears in one, to Jeremy’s relief. On the other hand, William darkens the atmosphere by asking how well he did. Annoyed, his friends don’t respond. In the principal’s office, Sissi agrees with Mr Dunbar’s concerns about William’s bizarre behaviour. The girl is certain Jeremy used him as a mini-pig (read guinea-pig…) and James Dunbar should take to Jeremy. We find them outside Jeremy’s room who obviously isn’t there. William’s father loses his temper, saying they will have tests done to prove if the clone is his son. 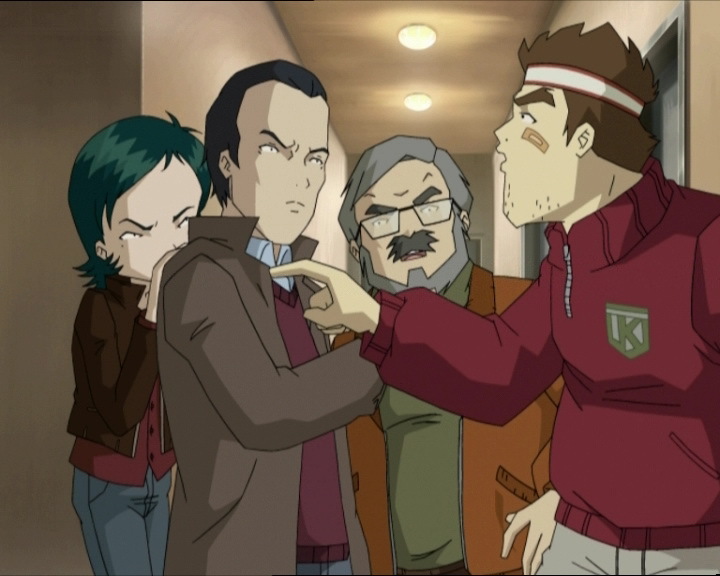 On Yumi’s signal, present at the scene with Odd and Ulrich, Jeremy devirtualises the clone and William, the real one, appears, to everyone’s general amazement (especially Jim who saw the clone disappear before the other appeared). William calms them down and brings his relieved parents to the playground. Their last hope: the multi-agent system. - This episode references many events in the previous episode. It's necessary to have seen or read about it first. - We discover that XANA is preparing robot armies to invade the world. - William is released from XANA and returns to Earth. Disappearance of his clone. 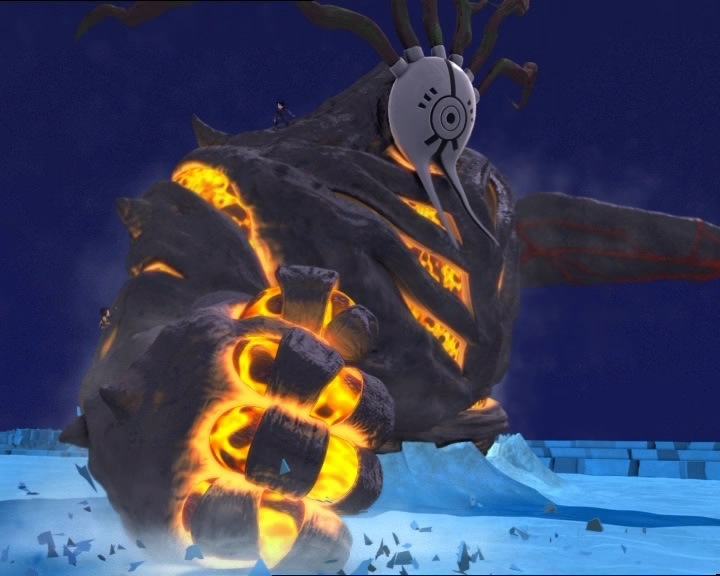 - Destruction of the Skidbladnir and the Navskids by the Kolossus. - First appearance of William's mother. - Third time Odd devirtualises William. - At one of his old schools, William glued stickers to the prinipal's car. - The door to Jeremy's room is dark blue instead of grey before the heroes leave. - The principal's moustache is grey when he asks if William's parents are who they say they are. - The marks under Aelita's eyes disappear when she turns to see the robots marching. - The sleeves of William's undershirt are absent when Yumi puts her hand on his right shoulder. - The marks under Odd's eyes are absent when he uses his shield, in front of the door where he and Aelita fight the robots and before Aelita leaves him. - The door to Odd and Ulrich's room opens towards the outside instead of the inside when Ulrich, Yumi and Odd open it to see William's parents, and it's blue instead of grey. 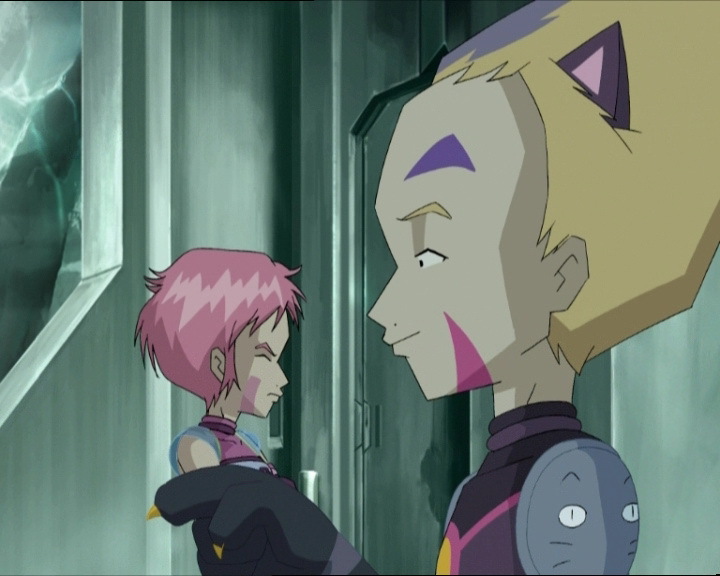 - In the robots' reflection as Aelita and Odd walk past, Odd is in front of Aelita. In the following shot, Aelita is in front. 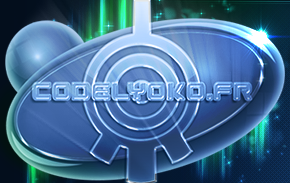 - First use of Odd's shield during Teleportation. 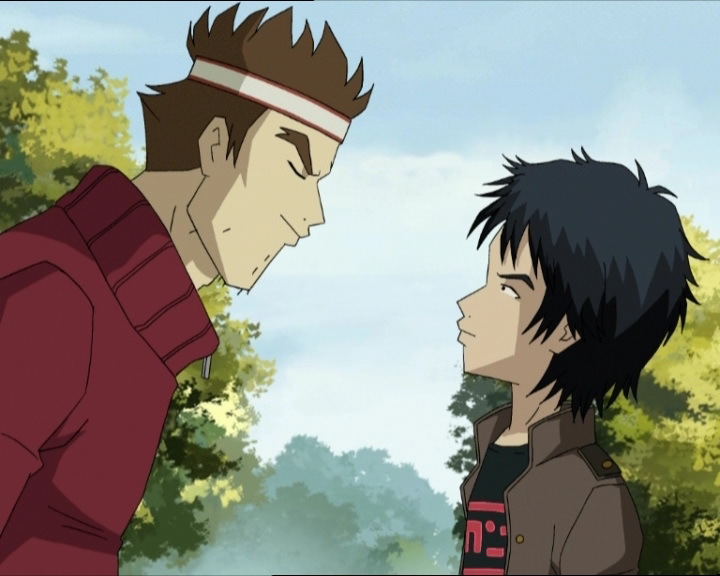 - Mr Dunbar alludes to episode 27 “New Order” when William arrived at Kadic after being expelled from his old school, which he spoke to Yumi about. - The principal alludes to the trip William supposedly returned from, which Jeremy lied to him about using his voice manipulator in episode 66 “William Returns” and the flu he contracted in episode 67 “Double Take”. Aelita alludes to episode 36 “Marabounta” when Jeremy used Franz Hopper's notes to create a multi-agent system designed to afflict XANA, but unfortunately the Marabounta came after Aelita after mistaking her for one of XANA's monsters. Little Red Riding Hood is a popular traditional story. Ulrich: Einstein a comedian? Hm, you were right to be worried about him, I don’t think he’s all there! Odd (about a Replika mission): What? Like, now? But they’ve got tuna casserole, sauerkraut and sausages for lunch today! Jeremy: You can have lunch tonight, let’s go! Odd: Anyone ever tell you you eat dinner at night?! Jim: Didn’t you hear me call you, Dunbar? William clone: No. I’m sorry, but I don’t have a phone. Jim: Trying to be clever, huh? I’m not that dumb. If you think you can pull the wool over my ears, you’re wrong! Ms Dunbar: You seem to be a little out of sorts. William clone: That’s right, but I never had any sorts to begin with. Rosa: So William my boy, how’s it going? William clone (sliding his tray around): It goes in any direction I want it to. Rosa: This’ll stick to your ribs! William clone: I can’t eat it if it’s on my ribs! Jim (to William’s parents): You know, that son of yours, he’s really quite a piece of work. William clone: I’m not just any piece of work. To be specific, I’m a digitally-generated random polymorphic energy field controlled by a basic, non-evolving behavioural program. Ms Dunbar: Your father and I were wondering, William…why you don’t call us much at the moment. William clone: You’re right here in front of me. If I called you, you wouldn’t be home. Principal: Are you trying to tell me he isn’t your son? But you are the parents of William Dunbar…? Mr Dunbar: Of the real William Dunbar! Our son is a dynamic and rebellious youngster, who was expelled from the last school he attended for gluing stickers all over the school, including on the principal’s windshield. Principal: I don’t recall you ever telling me that when you enrolled him here at Kadic. Jeremy (dismayed): So that could be XANA’s secret plan, to use an army of robots to enslave all of mankind! Odd (to Jeremy): Open up Grandma, it's little red riding hood! (looking at Aelita) Uh, pink, that is! Aelita: It’s scary looking at all those robots standing at attention. Odd: It sure is! … Hey! One of them just moved! Odd: Will you relax? I was just kidding! Odd: Huh? Hey, one of them just moved! William: I did a pretty good job, didn’t I? Sissi: After all, I am your daughter, so I'm always right!